So it's finally here -- the Nikon D7100! Obviously I haven't spent much time with it, so this will have to be a rolling review. Here are my first impressions. UPDATE: Added video of continuous shutter buffer and quiet shutter mode, added more info under "Additional features." My previous APS-C cameras did not have great low-light capability. I thought about upgrading to the D7000, but when the D7100 and its new features were announced, I decided to get the D7100 instead. Most attractive to me was the new sensor and its absence of a low-pass filter. The other new features such as Auto ISO were additional incentives for me. - ISO series – noise. 100% crop. · Sensor: 24mp with slightly better high ISO performance that the D7000. DPReview says the D7100's sensor is completely new. Update: notwithstanding what Nikon says, the D7100's sensor may be the same as that of the D5200. See here. · NO low pass filter for maximum sharpness. See below under image quality. · The new, smarter Auto ISO (just like the D4, D800 and D600) that can take into account the focal length. · Support for WU-1a wireless adapter allows remote live view on your iPhone or Android smartphone. · Can do 1080p at 30fps or 1080i at 60fps (D7000 can only do 1080p at 24fps). · Exposure mode dial has a button and lock, just like the D600. Prevents accidentally turning the exposure dial. · It has the instant 100% zoom on playback that was present on the D300, D700, and pro bodies but was missing from the D600. · 51 AF Points with new AF algorithm, and low-light AF capability. It's supposed to focus up to -2EV, which beats even the D600 which can focus at -1EV. · New! 1.3x crop mode. In this mode, the image will be cropped slightly (effectively 2x crop compared to full frame 35mm, very similar to Micro 4/3 and 4/3 ratio). The focal length will be effectively 2x instead of 1.5x, the continuous shooting speed increases to 7fps, and the AF points will fill the frame from edge to edge. The crop mode also works in video. In video, the 1.3x-cropped video will still have full 1080 or 720 resolution. · New! Spot white balance: instead of taking a manual white balance shot of the whole screen, you can take the white balance from any small spot of the screen (in Live View). No need to look for a gray card. · New! LCD screen is slightly larger (3.2 inches vs. 3.0), higher resolution (1.229M vs. 921k) and brighter (has white pixels, not just RGB). 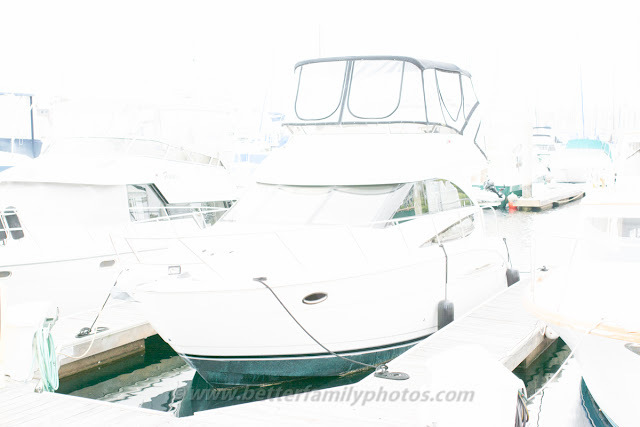 · The effect of exposure compensation on flash exposure can be canceled, just like with the D600! Finally!!! · In LiveView mode, the center OK button can be used for instant 100% magnification. EN-EL15 Rechargeable Li-ion Battery: see below. MH-25 Quick Charger: see below. UC-E6 USB Cable: a mini-USB to USB cable. AN-DC1 Strap: a generic Nikon strap. Doesn't say "D7100". For me I prefer it that way -- I hopefully become less of a target for thieves. Manual in English and another manual in Spanish. The D600 has a receptacle for the plastic LCD protector (not shown). 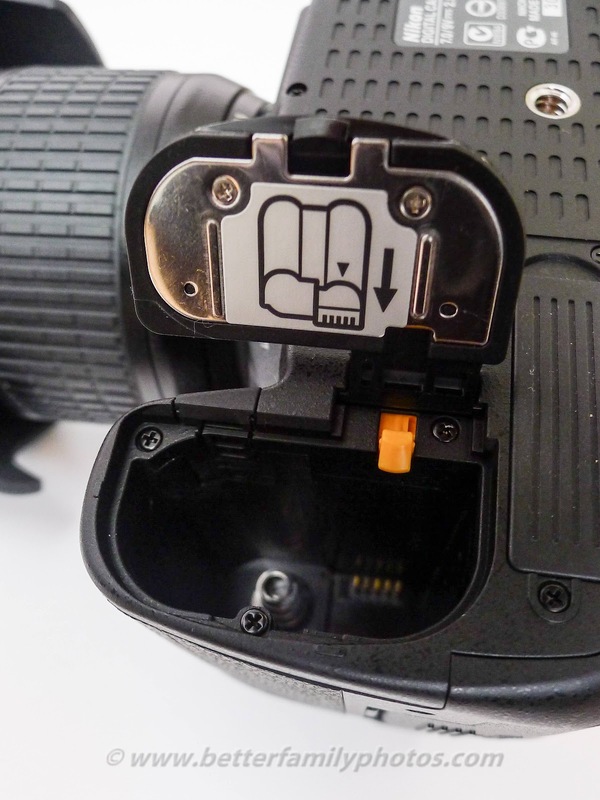 The D7100 does not have a receptacle for the LCD protector. 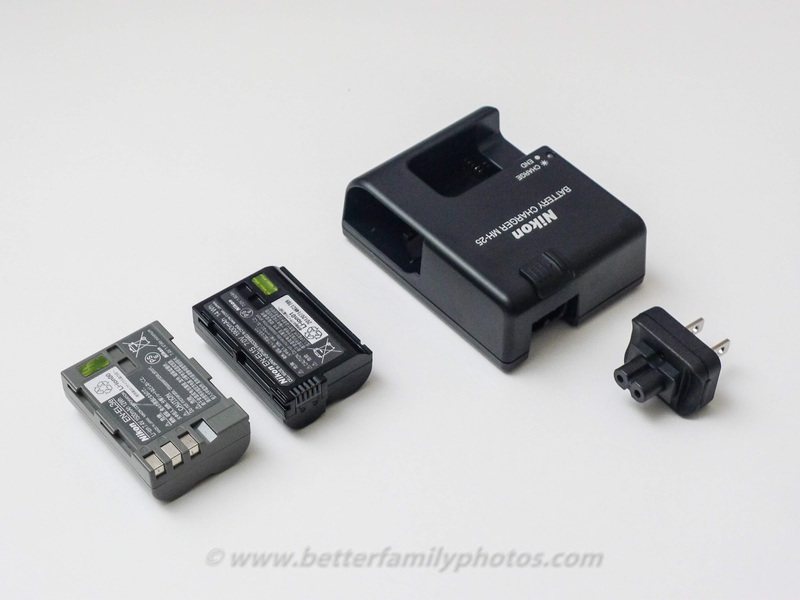 The D7100 uses the EN-EL15 battery and MH-25 charger, just like the newer Nikons. The EN-EL15 battery looks similar to the older EN-EL3 except that it's black and the bottom is rounded. Included with the battery is a plastic terminal cover to prevent short circuits. Took about 1.5 hours to charge from the box. The MH-25 charger looks very different from chargers of older Nikons. Instead of the battery clipping on to the face of the charger, the charger has a receptacle into which the battery is inserted sideways. There is an open "window" so you can see the battery. I like the new design better because if the charger is dropped, the battery is protected by the frame of the charger, plus it looks cooler. A significant change is that the power cable for the quick charger is included but is optional. Instead of connecting a cable with a plug, there is an included wall adapter that can be connected directly to the charger. With the wall adapter attached, the plug can swivel so that the charger can be plugged directly into a wall outlet. Great idea! Externally, the D7100 is almost identical to the D600 in style. I thought they would be almost exactly the same in size as well but actually, the D7100 is slightly smaller. The D7100 grip feels very similar to that of the D600. Please note some people feel discomfort on their fingers below the red swoosh - you should try it out to be sure. 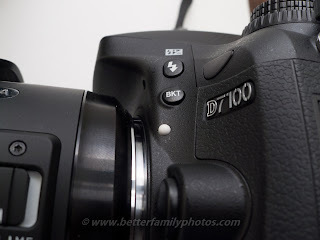 One difference from the D600 is that the D7100's thumbrest is thinner than that of the D600. Like the D600, the D7100’s grip is not as comfortable as that of the D300. Part of the problem is because the D7100’s grip is a little too small for me. There isn’t enough for my ring finger and pinkie to get a tight grip. Fortunately the D7100's grip is a little chunkier than that of the D7000. If the size of the grip bothers you, you can always get the battery grip. 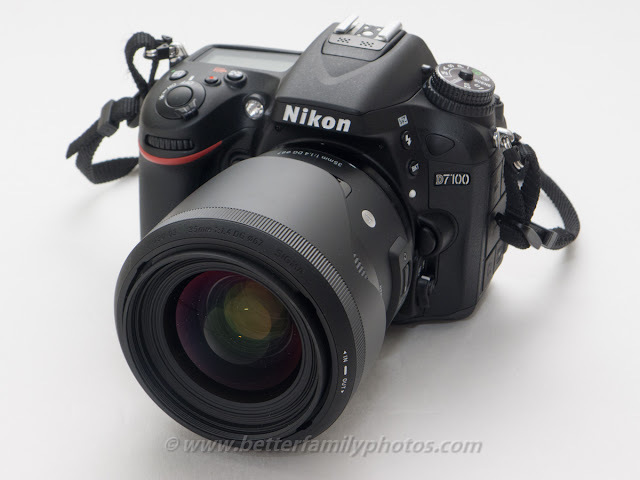 The D7100 has a magnesium frame that reassuringly lends some weight to the body. Again, doesn't feel as solid as the D300 but it definitely feels well made. Lens Mounting Mark. The white mark for indicating how the lens should be inserted is now a rounded bump to provide tactile feedback. Newer lenses such as the Nikon 28 1.8G and 85 1.8G have a similar bump that facilitates mounting a lens in the dark. Battery compartment. The battery compartment has a new clip that prevents the battery from falling out even when the battery door is opened. There is also a spring that conveniently ejects the battery when the clip is moved aside. Hinged connection covers. 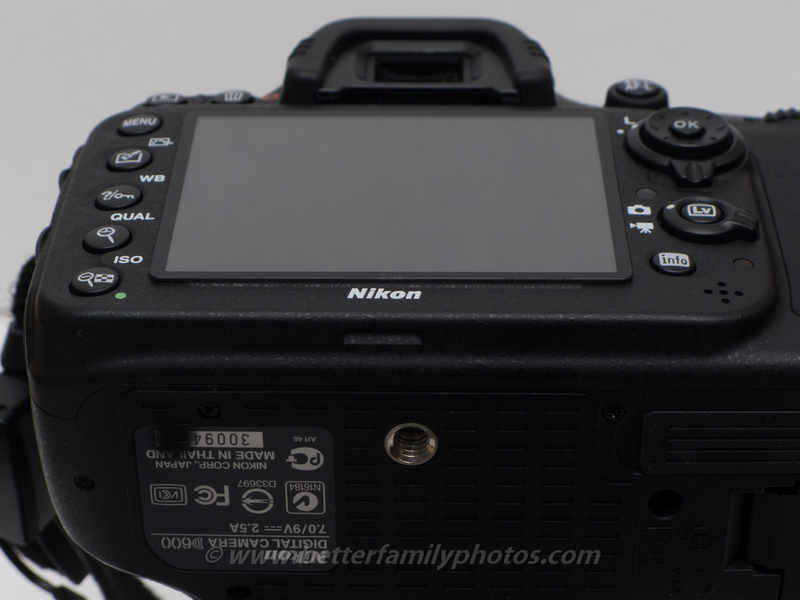 Like other Nikons, the side of the camera contains the connections such as USB, HDMI, GPS, and in the case of the D7100, a headphone jack. One cool detail is that the rubber covers for these connections now have a hinge so that they'll stay open. Previous Nikons had rubber covers that were more like flaps that you had to keep pushing away (or plug something in) if you wanted to keep them open. 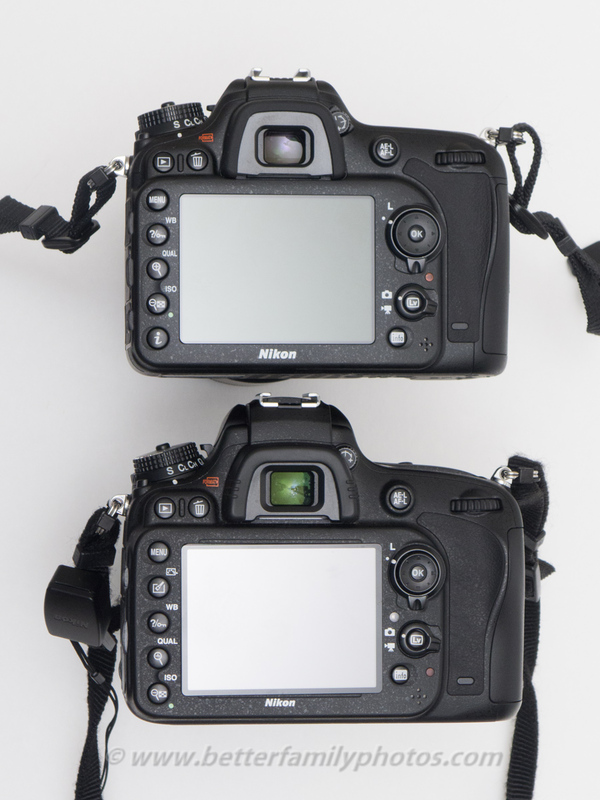 The D7100 has a new LCD screen that is slightly larger (3.2 inches vs. 3.0 inches of other new Nikon DSLRs). Although it has the same resolution, there are more pixels because in addition to RGB pixels, there are now white pixels which help brighten the screen. This is not a scientific comparison due to several variables being different, but below are shots of the D600 and D7100 screens respectively, using the same brightness setting of -1. Note that the D600 has an Auto brightness setting (in addition to a manual setting) whereas the D7100 only has a manual settings. In the field, I still found the D7100 screen a little hard to see in bright sunlight, so don't expect miracles. In terms of color, my impression is that the D7100 screen may be more neutral than that of the D600, which sometimes looks warm. 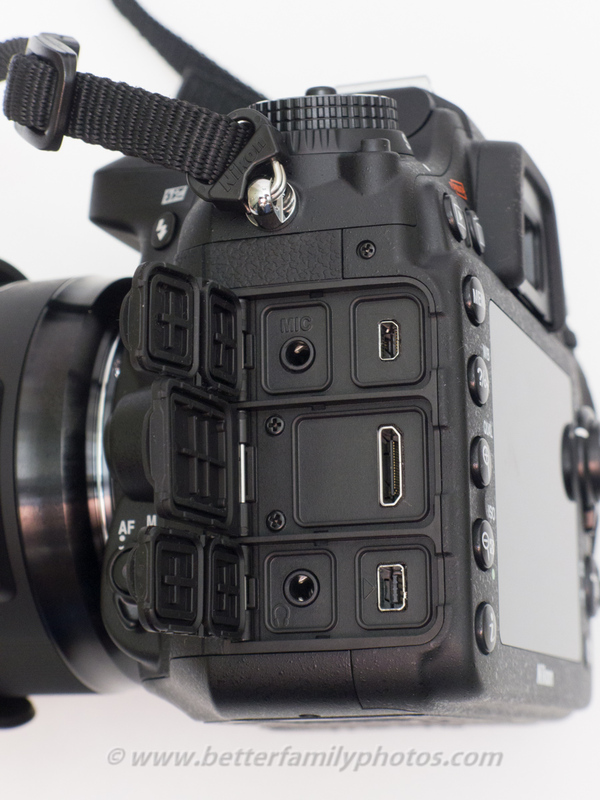 The D7100 has an 8-way multi-directional pad. The pad is a little larger than that of the D600. In keeping with recent Nikon tradition :>, Nikon has again changed the functions of the buttons on the left. Old Nikons consistently kept the zoom button on the bottom. 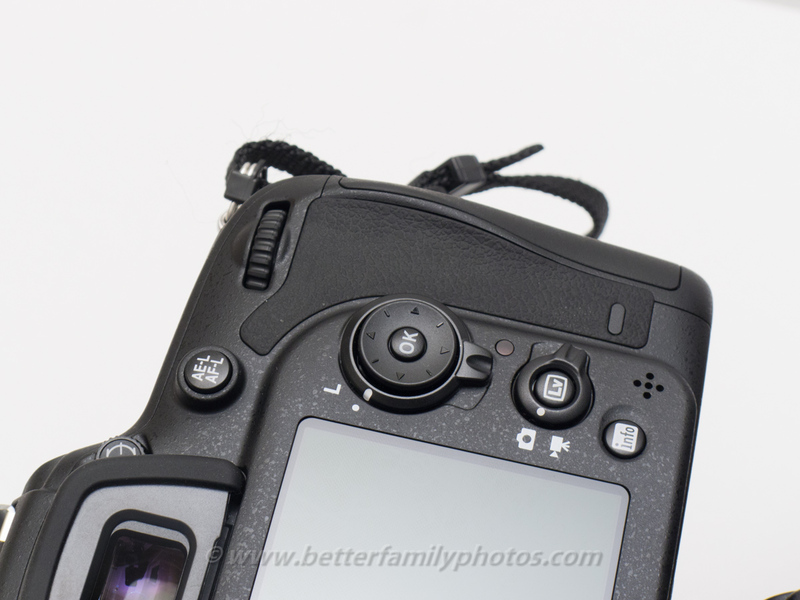 The D600 moved that button to the next higher button. The D7100 moved it again, where it is now in the middle. 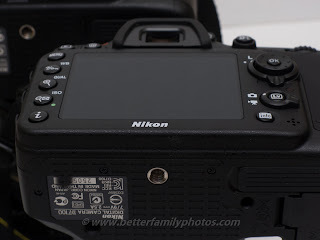 On the plus side, Nikon removed the useless Retouch button and changed its function to the "i" button, which is supposed to allow quick access to certain commonly used settings. It doesn't seem all that useful to me, but I suppose it's better than the Retouch menu. Surprisingly, Nikon has again revised its menu appearance. 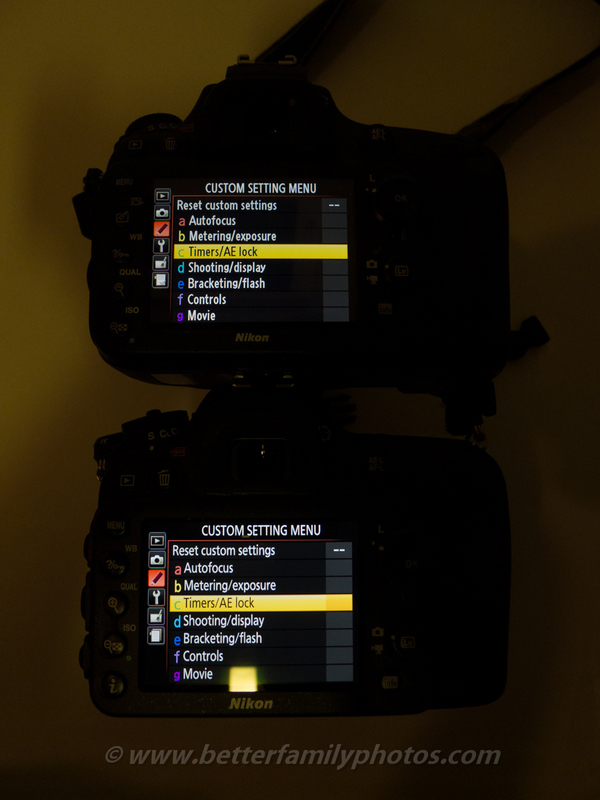 As with the D600, the icons in the menus have a slightly 3D look. However, unlike the D600, the D7100 has a thinner font, which looks sharper. Hopefully it will not be an issue for those who have vision problems. D600 on top, D7100 on the bottom. The D7100 font is slightly thinner. Pls. ignore the yellow glare (from my lamp) on the D7100 screen. The D7100 has a very similar exposure dial to that of the D600, which itself was derived from the D7000 exposure dial. Like the D600, the D7100 has a dial on top, which allows changing between PASM shooting modes, preset modes, and scene modes. Rotating the dial requires pressing a button in the middle. The button lock is helpful to me because I sometimes rotate the dial accidentally on bodies that don't have the lock. One tiny difference is that the D7100's dial has grooves, whereas the D600's dial has the same texture as the body. I think the grooves on the D7100's dial may help the labels on the dials to last longer. Below the dial is a ring for specifying the shooting mode, from single, continuous low, continuous high, quiet, self-timer, mirror-up. autofocus mode (continuous, single or auto) and AF points (auto, 3D, single, dynamic-9, 21 or 51). See below. In addition, the D7100 has three customizable buttons: the AE-L/AF-L button, Fn button and preview button. Custom U1 and U2 modes. The D7100 has custom U1 and U2 modes in its exposure dial, just like the D600 and D7000. 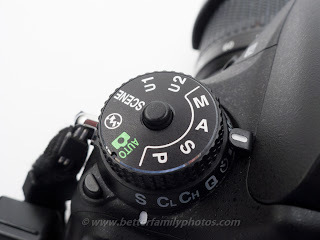 Here's how it works: you turn the exposure dial to one of the other modes such as PASM. You tweak the adjustments as much as you like, e.g. choosing an aperture in aperture priority, setting the exposure compensation, specifying options in the menus, etc. etc. Then you use the menu option to save the current settings into U1 or U2. Whenever you switch to U1 (or U2 as the case may be), the camera will apply the custom settings. From there you can change them as usual. If you want to restore the custom settings, you turn the dial out of U1 then turn it back to U1. The custom settings will be reapplied. If you want to change the custom settings themselves, just make the changes you want then save the settings to U1 or U2. For me, the U1 and U2 modes are far more intuitive and sensible than the shooting banks used in some of my previous cameras such as the D300 and D3. Those got so confusing that I never used them. Another benefit of the D7100 is that because the autofocus mode (AF-A, AF-S, AF-C) and metering modes (spot, center, matrix) are button-based instead of a dedicated dial they are included in the custom settings. Of course if you physically switch the autofocus lever to manual then the autofocus mode won't apply. OLED viewfinder. The D7100 features an OLED display in the viewfinder. Honestly though it doesn't seem to make much of a difference for me. I wouldn't have noticed anything. Intervalometer. There is an intervalometer but it won't combine the shots into a time lapse video (unlike the D600). Multiple exposure mode. Limited to 2 or 3 shots. AF-On. There is no AF-On button but it can be assigned to the AE-L button. Note however that you cannot use the focus trap technique. 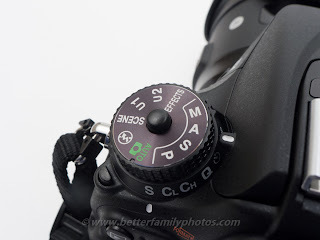 When AF-On is used, pressing the shutter will release the shutter whether or not the AF point is in focus. Exposure Comp. for Flash: One of the differences between Canon and Nikon is the effect of exposure compensation when using flash. With Nikon, adjusting exposure compensation affects both flash exposure and ambient exposure. With Canon, adjusting exposure compensation affects only the ambient exposure. So if you wanted to underexpose the background by 1 stop for example while the flash exposure is normal, with Canon you just dial -1 exp. comp. and leave flash exposure compensation (FEC) alone. 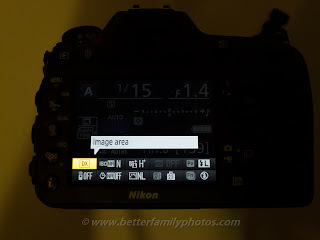 With Nikon you dial -1 exposure comp then use +1 FEC to bring the flash exposure back up to normal. I much preferred the simple Canon way but I never had a choice until recently. 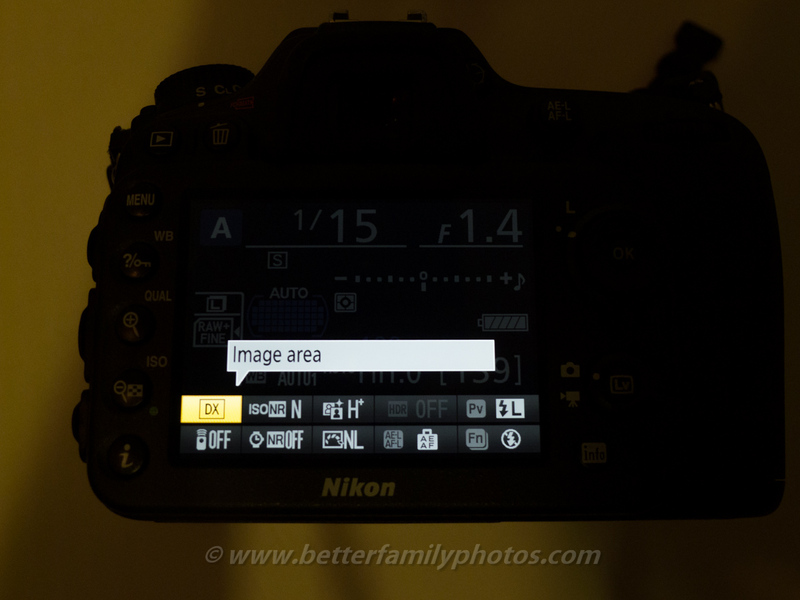 The Nikon D4 introduced a new option that allows you to specify whether exposure compensation affects flash exposure. The D800 did NOT have this option but the Nikon D600 did have the option, and now so does the D7100. Spot White Balance: This is a new feature. Normally if you want to take a custom white balance, you have to fill the frame with a white or gray target. With this function you only need a small part of the frame to be white or gray. To use this function, enter live view mode. Change the WB to the custom WB. Press WB again to set the custom white balance. When you set the custom white balance, there will be a small box that you can move around in the frame. The D7100 will sample only that small area to get the custom white balance. AF fine-tuning. Yes the D7100 does have AF-Fine Tuning. Non-CPU lenses. Yes, it does support Non-CPU lenses. Custom file name prefix. You can change the three letter prefix of filenames from DSC to any other letters (up to 3 letters). Speed and accuracy. I will test the D7100's AF speed and accuracy in the days ahead. Thus far, my impression is that it locks focus faster than the D600. Smarter AF Area Options. In previous Nikons, I could select any AF-Area (Auto, 3D, single, dynamic 9-point, dynamic 21-point, dynamic 39-point) in combination with any AF Mode (AF-C continuous, AF-S single, or AF-A). The problem with this is that with AF-S, dynamic AF points and 3D tracking didn't do anything - it was just the same as single-point autofocus. 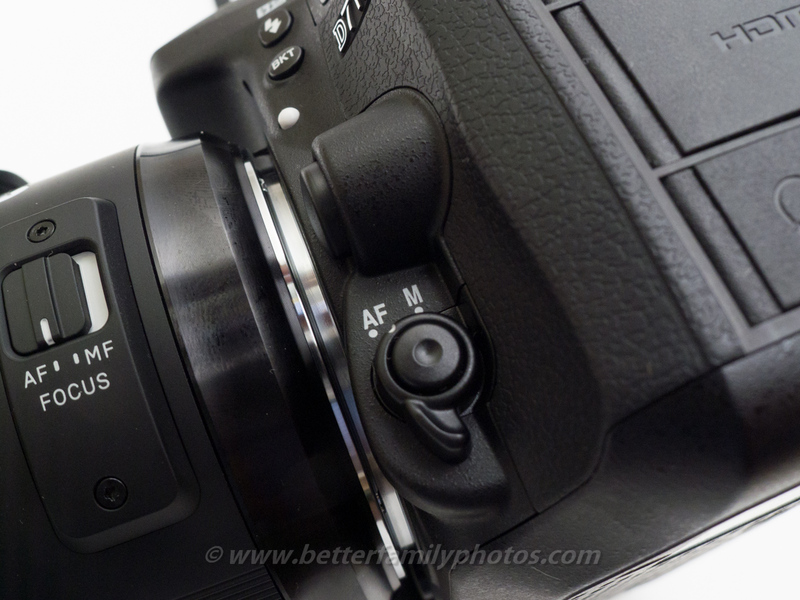 The D7100 remedies this by limiting the available AF-Area modes available under AF-S to Auto and single point only. It's less confusing. Low light autofocus. The D7100 autofocus is rated to -2EV, which is equivalent to an exposure of ISO 100, f/2.8, 30 seconds (not 1/30 second). This is about the same as a moonlit night. The headline feature of the D7100 is its sensor, which is the first Nikon sensor to have no low-pass filter (a filter over the sensor that blurs the image slightly in order to avoid moire and stairstepping). Whereas the D800E had a low-pass filter that was nullified, the D7100 has no low pass filter at all. A few unique cameras such as the Sigma cameras with Foveon sensors or Fuji cameras with X-Trans sensors don’t have an OPLF because they don’t need them. The D7100’s sensor has a conventional Bayer filter but nonetheless does away with the OPLF, just like medium format digital cameras, Leica rangefinders, and the Pentax K-5 IIs. 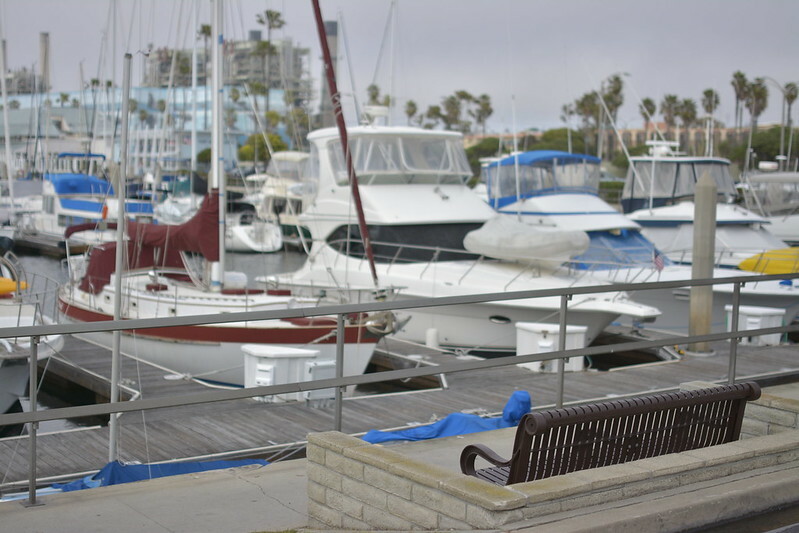 Look at the full-resolution shot, specifically at the front deck of the boat. You'll see that the D7100 was able to capture the fine detail showing the grooved texture of the front deck. At the same time, there is a slight moire pattern (but not color moire) that seems to be visible. I will try to get more samples of the D7100's sharpness in the coming days. I took shots of a test scene at ISOs from 100 to 25,600, in one stop increments. I was guessing that the D7100's sensor was the same as that of the D5200, which although has slightly better high ISO than the D7000, is known to have horizontal pattern noise in extreme exposure adjustments. 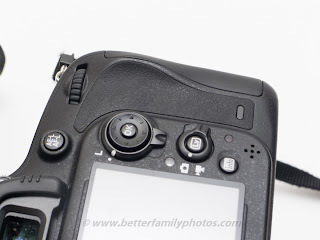 My concern was therefore whether the D7100 had the same issue. I took the shot below in raw (converted to black and white). To test the shadow recovery, I boosted the exposure +5 stops. Here is what the shot looked like. 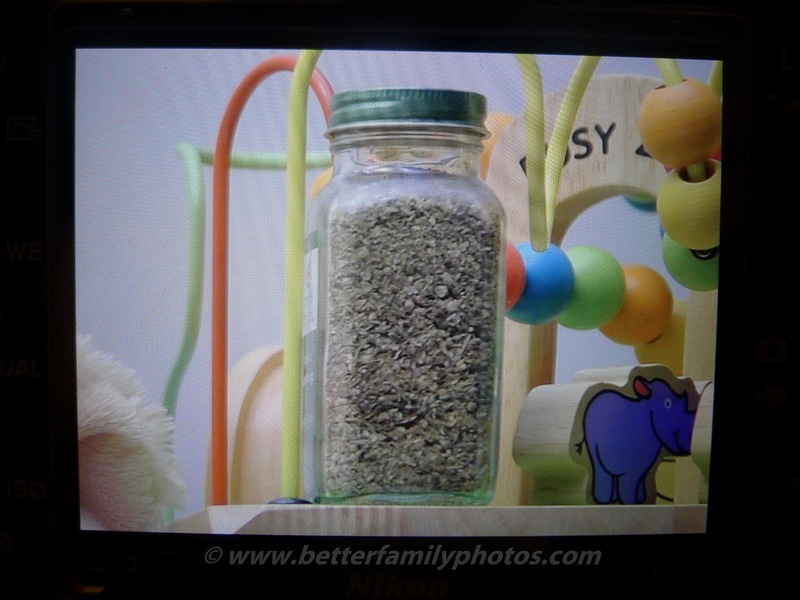 Live View in the D7100 works the same way as other recent Nikons. There is a lever to choose between Live View Photo or Movie. To initiate Live View, you press the LV button in the middle of the lever. Live View Photo Controls. Just to avoid any confusion, in Live View Photo mode, you can adjust aperture, shutter speed and ISO, in the same way you can without live view. In Live View Movie mode, your ability to control these exposure variables is much more limited - as will be discussed in the video section of Part 2 (or see the responses to the comments below). Live View WYSIWYG or not. In Live View Photo mode, the screen does not show the effects of the chosen exposure, except for exposure compensation to some extent. It is not what-you-see-is-what-you-get. Changing the aperture doesn't show a preview of the change of depth of field. Pressing Depth of Field Preview has no effect on LV Photo mode. Changing the shutter speed doesn't show a preview of the blur. Changing the ISO doesn't show a preview of the noise. Even in manual exposure mode, changing the aperture / ISO / shutter speed will not change the preview on the LV Photo mode (but there is an electronic light meter indicator). 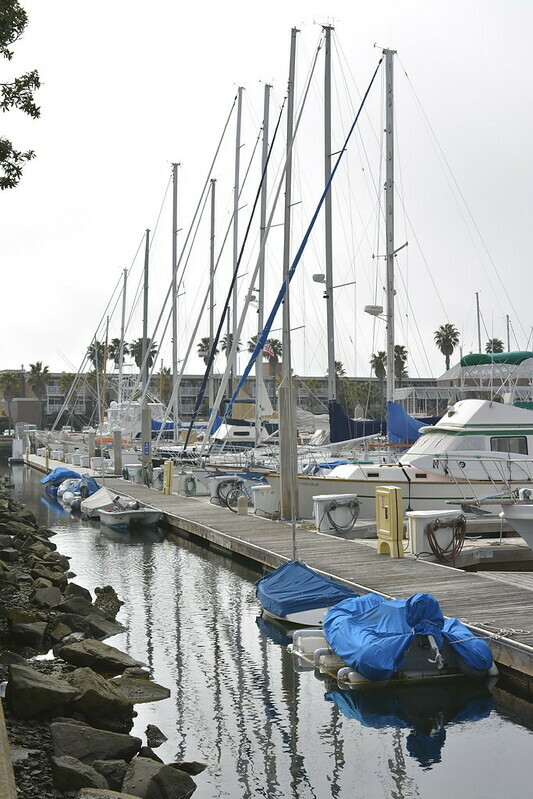 Exposure compensation adjustments can be seen on the Live View Photo mode within a range of +/- 3EV but in dim conditions (e.g. at night), I can only see changes within a range of -3EV to +1EV. If you apply exposure comp outside that range there is no change in the brightness of the screen. - If you select a narrow aperture, it will be harder for the camera to focus. - When I want to change the aperture and see the change in DOF, I change the aperture even while LV is active. Then I just press the LV button once to deactivate it and press it again to activate it. It's smoother to me than exiting LV, changing the aperture, and reactivating LV. Live View AF modes. The D7100 has two AF modes: AF-S (single servo, where the camera will focus then lock focus upon achieving focus) and AF-F (full-time servo, like the continuous autofocus in AF-C). I don't know why it's called AF-F instead of AF-C (maybe because the underlying technology - phase vs. contrast detect - is different...?). Live view focusing speed. I was curious about how fast the live view can focus. 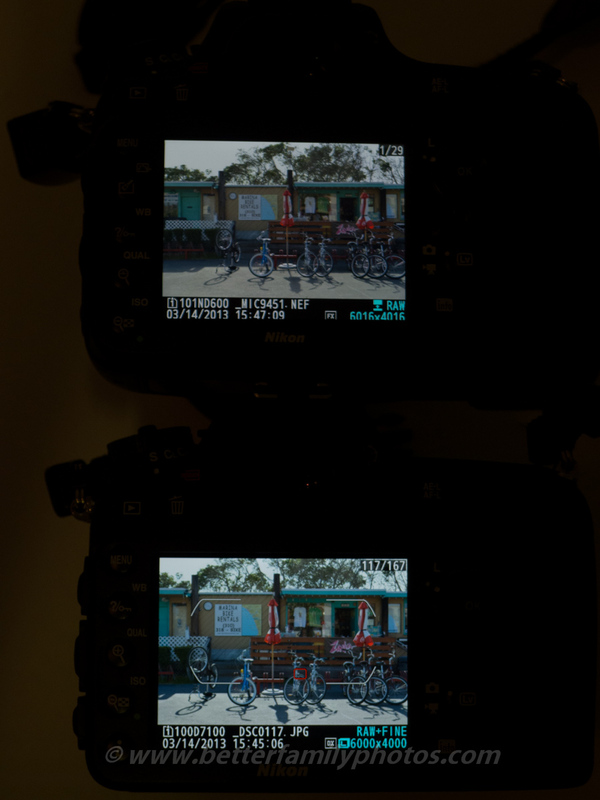 The D7100 has the same contrast detect AF in live view that is in the D4 and D600. The speed is reasonable - about the same as an average point and shoot. That's definitely way faster than the D90, which takes several seconds to focus. Live View AF Areas. In live view you can select from different AF areas: normal (a small square), wide (approximately 4x larger than the AF area of normal), subject-tracking, and face-priority. - Subject-tracking: in this mode, the D7100 will try to track your target as it moves around the frame. To initiate it, you position the AF point over the target then press [OK]. The D7100 will start to track the subject. As for how well it can track, I would say it's about the same as the non-liveview 3D Auto tracking in AF-C, except that AF point can move anywhere on the frame, not just in the cluster of AF points. - Face-Priority: when you activate this mode, the D7100 will try to find human faces within the frame. Then it will choose the closest among them and track that face. If you want to focus on a face other than the closest one, you can change it using the directional pad. Live view magnification. The D800 and some other Nikons have an issue with Live View. When you zoom in, it shows only a lower-resolution magnification. Here is the problem, described in a thread of DPReview's forum. In this regard, the D7100 is similar to the D600: with the D7100 (and D600), the resolution of the magnification depends on whether the camera is autofocusing or not. While it is autofocusing, the resolution is low. When it is no longer autofocusing, the resolution becomes high (as high as the sensor will permit). Logically, when the focus mode is AF-F (full time autofocus), then the camera is always focusing and the resulting resolution will always be low. Upon switching to AF-S, the resolution becomes high again. 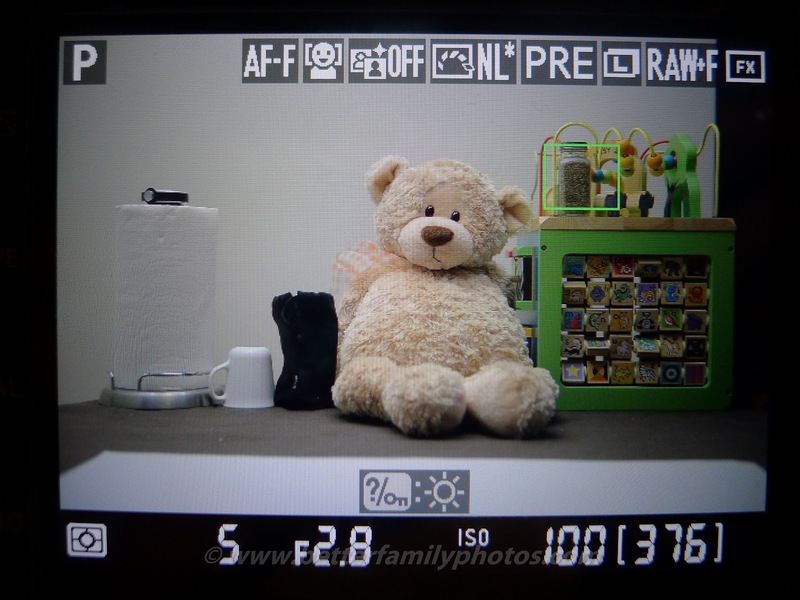 Similarly, when using manual focus, the resolution is also as high as the sensor's maximum. This is what the entire scene looked like. I focused on the bottle of herbs upper right. I took a shot and zoomed in that focus area during playback. This is that same area during LiveView, while the camera is on AF-F. This is that same area during LiveView, while the camera is on AF-S. Same thing happens if I am using manual focus. LV continuous shooting speed (or lack thereof). One issue with the D7100 Live View is that it is slow. After you take a shot, it takes about 3 seconds to be ready for another shot. By comparison, the D600 is ready to shoot again in about 1 second. Usability: Because of the D7100's extraordinary sharpness, one question is how usable the D7100 is in the field, where conditions are far less controlled. Does the D7100 require additional discipline in order to benefit from its sharpness? · Moose Peterson has been shooting in Costa Rica with a preproduction model of the D7100 for Nikon. Here are his posts on the D7100. · If you are interested in the Nikon D7100, you can join the Nikon D7100 group on Flickr to see more samples and discussions related to the D7100. I will be posting there regularly with updates on the D7100. Thanks Michel. Here is a video I made to demonstrate the quiet mode. 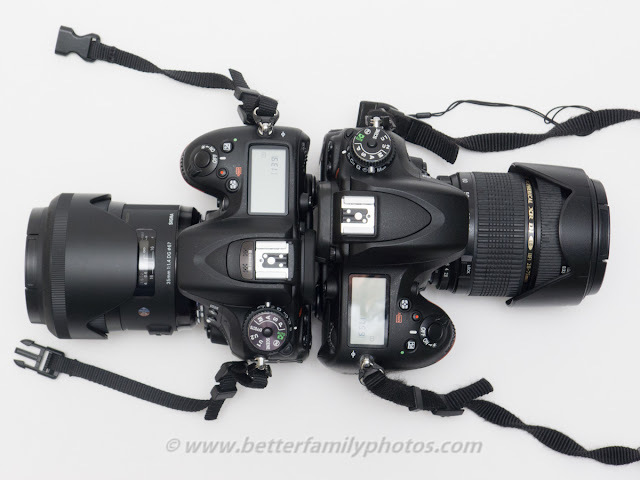 Note that you can hold the shutter and allow the mirror to flip back while the camera is covered to make it more quiet. The moiré looks reasonable. 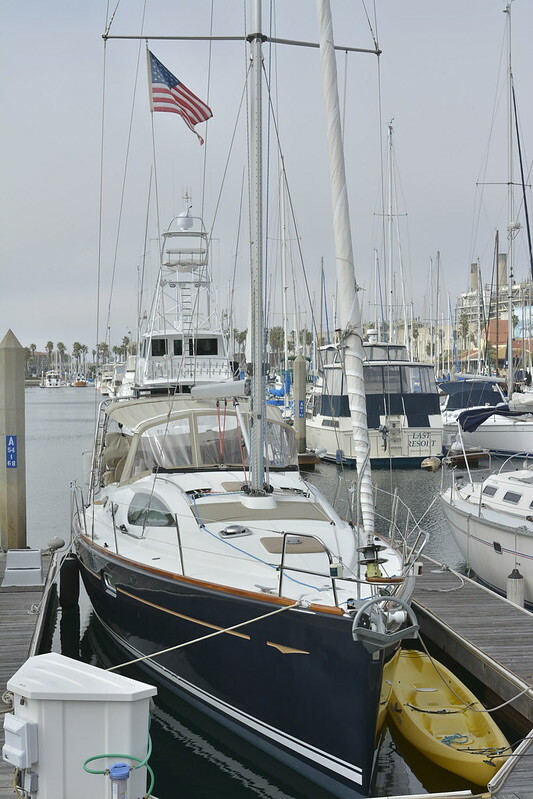 Can you comment further / add pictures (beyond the boat one). Hi Maxime. OK I'll run some more tests specifically on moire. Hi Mic, I like to know more about moire effect on images taken by D7100. Hi shuvrai. So far I have not seen any in real world conditions. 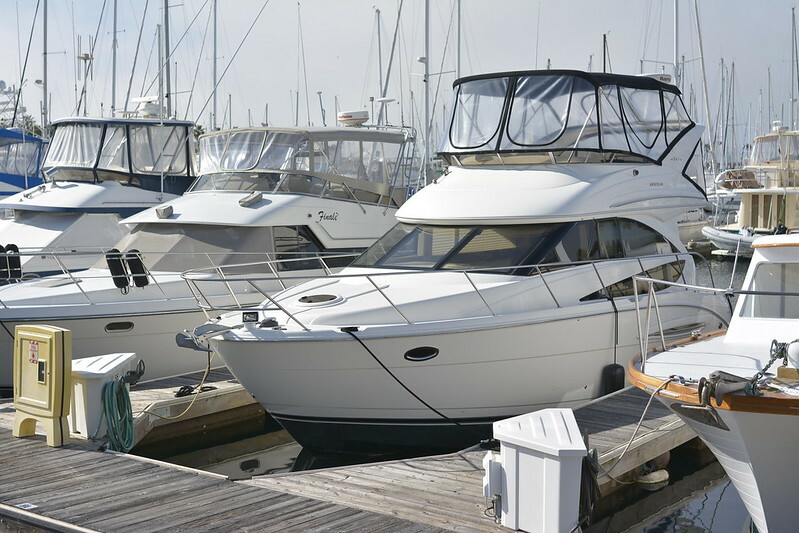 But on the dpreview forum where they discussed some of the boat shots I took, some people with retina displays say they can see color moire everywhere. Those same folks don't see moire when the image is viewed on a PC HD monitor. Anyway I will try to find moire. Great review, thank you for the effort! Looking forward to the continuous shooting and buffer tests. That seems to be the main issue with the D7100. Hi Nilanjan. Good news - I just posted a video of it! See link above (under 'handling - shooting'). Thank you for putting together a very comprehensive test & review of the D7100. Obviously this is a much anticipated DSLR in the DX format, it will undoubtedly be the next camera I upgrade to from my D5100. Let's hope Nikon's QC has improved with this model. Thanks! Like you, I'm also a little concerned about Nikon's QC - specifically about the dust issue that plagued the D600. I took a baseline shot at f/16 as my first frame. I also looked at the sensor to see if it has dust. After a few hundred shots I will reinspect the sensor and take another narrow-aperture shot. As a followup...not sure if the question has already been asked (or if you've already offered it up), but are you planning on doing any side-by-side comparison shots between the D7100 and D600 (or other models)? I've toyed with the idea of FX cameras (D600, D800/800E) for some time, but since I've invested in a small collection of DX lenses, it makes sense to stay in that format until I hit the lottery or something like that...and as I mentioned earlier, the D7100 may be the perfect upgrade to my D5100. Thanks again for such a great review...looking forward to any updates you have the time to offer! Thanks Gerard. Yes I will compare the D7100 and D600. I'm also curious to see! I will try to do that tonight if not this weekend. Wow, a comprehensive "quick" review. Keep it up please. One question I have is could you test the buffer/buffer-clearing using one of the new U1 95mbs cards? I read that these cards supported a greater transfer rate on the 7100 but I have not seen any test of it. I am a biologist and often use my D300 for multiple short 3-4 shot bursts at bird colonies and have filled the buffer when using slower cards. Therefore the buffer clearing not fps is my major concern. Thanks Gary. About that new card, let me think about it. The equipment I review here actually comes out of my own pocket, and I don't have a need for continuous shooting, so I wouldn't be able to justify the purchase for myself. I will try to see if a local shop carries it so I can try it out. Alternatively, if you have one that you're willing to lend to me, I would be happy to test it (pls. email me at info AT betterfamilyphotos.com so I can give you my address). I understand. I wish I were independently wealthy and could send you a U1 card, but I'm not. I will make the investment if and when I go get a 7100. That said, the clearing that your video showed looked impressive for a 45 mbs card. Many thanks to this detailed and very well structured review. 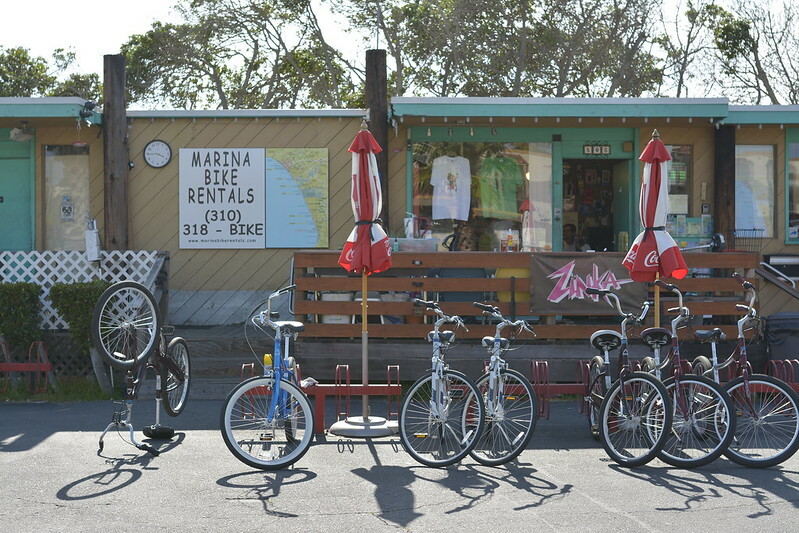 I did some tests with your picture and found out that Topaz Denois 5 does remove the banding almost completely. Oh wow!! Thanks Paul that is very helpful to know! Will definitely try it out. Thanks again! Thank you very much for your video on the quiet mode. Unfortunately I still think having to use the cover noise. Thank you for your kindness. Sorry not sure if my last post posted so will attempt one more time. I am in need of a main camera and soon as I have to send in my d90 for back focusing issues. I am leaning towards the 7100 but have been holding out until I can see some image comparisons against the d600. I shoot mostly portraits but will be doing so low light, no flash photography for some gymnastics competitions in the near future. I am looking forward to your side-by-side comparison (hopefully this weekend). btw, I would like to weigh the ability in low-light (perhaps for weddings) against price as well. I can get a new d600 for $1750, a refurbished d600 for $1599, or the d7100 for $1200. The refurbished only comes with a 90 warranty. Hi Dina. Yes I will compare the D7100 and D600. I think besides low-light capability you may also want to know your lens options. For event shooters, there are limited choices for fast telephoto zoom lenses, for example. Hi Mic Ty: I currently own mostly Full frame lenses. I have the 24mm 2.8, the 50mm 1.4D, and the 85mm 1.8G. I own the DX lens 18-105 so what I really should invest in is either the 70-200 f2.8 or f4. Here is my dilemma: I need a second body for photo shoots (especially now that I need to send in my d90 for service) which will take a big chunk of my budget. I also wanted to purchase a used sb900 or sb800 to add a second flash to my arsenal for portability reasons, but I also need a telephoto lens with some reach. If I go with the 7100 I could probably hold out on the lens for now (not shooting any weddings at the moment), but as I build my business, which I just started, that may be something that I will need to add. In addition, I will be shooting for the Miracle League, which offers sports to children with disabilities. I may need that reach or even more of a reach for that. I know this is off topic but would the 70-300 be a good option for either camera? I am not sure I have the budget for that either, as the photo shoots for Miracle League if volunteer work..I really should apply for grants, but I digress (and as you can see am long winded). So to get back to your comment, what lenses do you recommend? Hi Dina, between the SB900 and SB800, I prefer the SB800 because of the lower cost and because of the power. The limited head rotation is a bit of a bother but I did the head-rotation hack (shhhhhh... :) ). 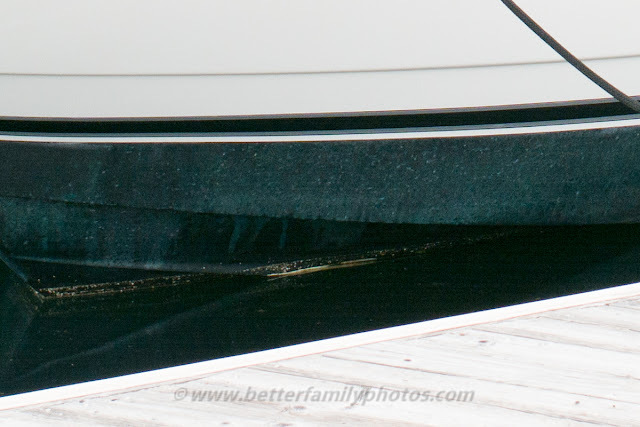 I haven't tried the 70-300 VC on the D7100 but will do and will post results for you to check out. I also have a Sigma 50-150 non-OS which is good on the D300, but just trying it out briefly today, it is not that good on the D7100. I guess if I really need a 70-200 2.8 for an assignment, I probably would just rent it instead. Hey Mic Ty. Thank you so much for your response and for sharing the link. I find you info on the 70-200 very interesting and valuable. 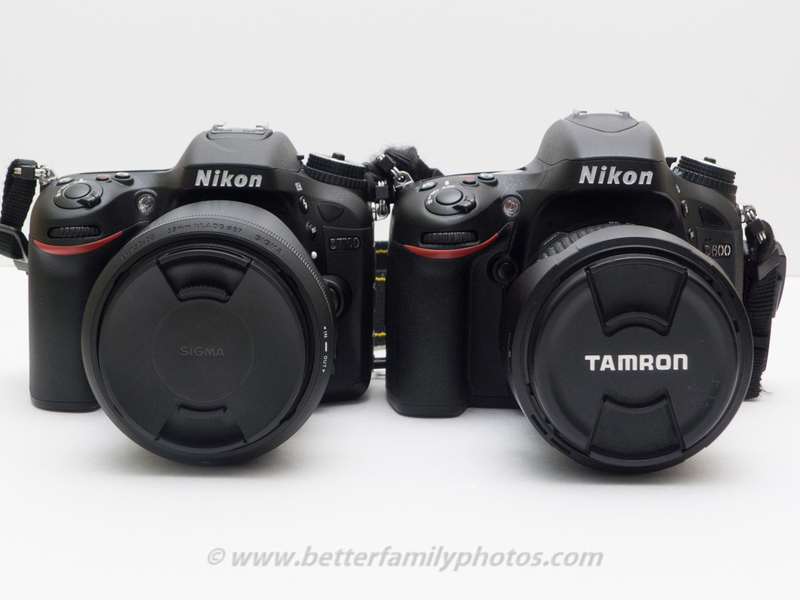 Going the third party route might be a good choice for me depending on the cost of the Tamron. Thanks again...cheers! I am a D7000 user who is still debating whether I should go for the D600 or D7100 as second body. For me clean high ISO is important, as well being able to use wider lenses like POV the Sigma 35 1.4 will give me, which I can not seem to get with a descent prime on DX. However, should I decide on staying DX, then a D7100 would be most welcome. I have read really good stuff about the newer Sigma 50-150 OS version, which I'm curious as to how it will perform on a D7100. If it proves well on the D7100, that would be a great complement to my Sigma 17-50 OS on my D7000, and save me a lot of cash, in case I will stick with DX. Thank you so much for taking the time to put together this fantastic review! I have a couple questions I hope you'll be able to answer. I'll be upgrading from a D90 and wonder whether you've owned one and can give any insight into the ISO performance of D90 vs D7100. Of course it'll be better but I'm trying to ascertain to approx. what degree. Unfortunately our local camera shop closed 3 months ago so I can't try it out in person. Considering the base ISO on D90 is 200, looking at D7100 ISO shots on Flickr it seems there might be about 2-3 extra stops of ISO before it hits that point where it looks like pixel puke. What do you think? Second question, it looks like you have some third party lenses and I wonder if by any chance you own a Sigma 105mm 2.8 macro & can confirm its operation on D7100? Ken Rockwell claimed weeks ago that "readers" told him it doesn't work on the D7100. Thanks again for the review and I'll be looking forward to reading your updates! Hi Jacqueline! I used to have a D90 but sold it, partly in anticipation of the D7100 so I can't do a direct side-by-side comparison anymore. However, I'll look through my shots to find comparable ones and present them here so you can see the difference. I do have 3rd party lenses, including Sigma. Some older Sigma lenses can't autofocus in live view on the newer bodies. For example, my Sigma 50 1.4 and Sigma 50-150 non-OS *could* autofocus in liveview on the D90 but *could not* autofocus in live view on the D600. I already sold my Sigma 50 1.4 but I tried the Sigma 50-150 and it can't autofocus in live view on the D7100 (although it focuses just fine without liveview). Newer Sigmas don't have this issue. 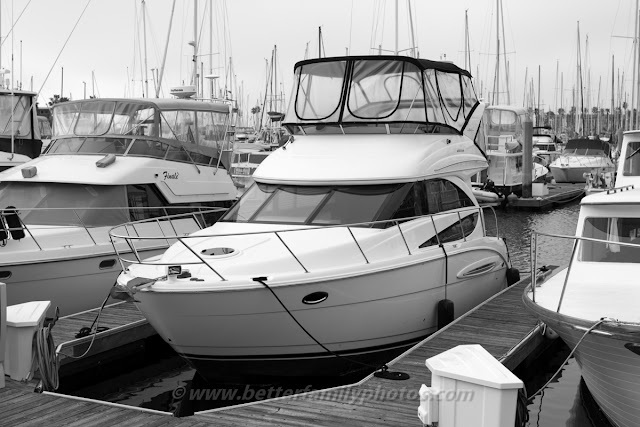 For example my Sigma 35 1.4 focuses fine with or without live view on the D600 and D7100. If your Sigma 105 is older it might have this issue. If it does, you can contact Sigma and they can update the firmware to fix the issue. However, they might ask for proof of purchase. If you are not the original buyer, I don't know if they would update the firmware or not. In my case, the rep I spoke to wasn't helpful, but other folks have said that sigma did help them out. Hey Mic, Thanks for the reply! I didn't realize the issue was simply with the live view autofocus with those Sigma lenses, that's good to know (and about the firmware update as well). I don't use live view that much so it's certainly something I could live with for awhile. Thanks! I sold my D90 few days ago and initially aimed at D600. However, I can't find any information if the issues with it has been fixed yet... Then Nikon announced the D7100. While otherwise great camera D90 has pretty poor high ISO performance. When you do the D7100 high ISO test could you please put some words how D7100 compares to D90 (especially in low light). Thanks Emil. I had the D90 for a few months but already sold it so I can't do a side-by-side comparison, but I'll post comparable shots to help you decide. Camera upgrade opinion (D7000 or D7100) ? I'm not a professional photographer. I love to take wildlife and animal photographs as hobby. I had D3100 and now looking for an upgrade and need some good camera for value. I don't have big budget. - Not a frequent photographer, Not professional. - Own 35mm and 55-200mm lenses. - Love to take wildlife/landscape photographs but take portrait and indoor as well. - Expect images to be sharp and in natural colors. Hello my friend. I don't have a D7000, so I can only comment based on my experience with the D7100. I think the D7100 is very well-suited for wildlife and animal photos because of its sharpness, better autofocus (more AF points and better AF algorithm) and the 1.3x crop mode. I believe the D7000's advantage (besides price) would be in the shadow recovery when taking very wide dynamic range shots. However, if I don't shoot frequently I would honestly think it over to see if the cost of the upgrade is worth it for only infrequent shooting. 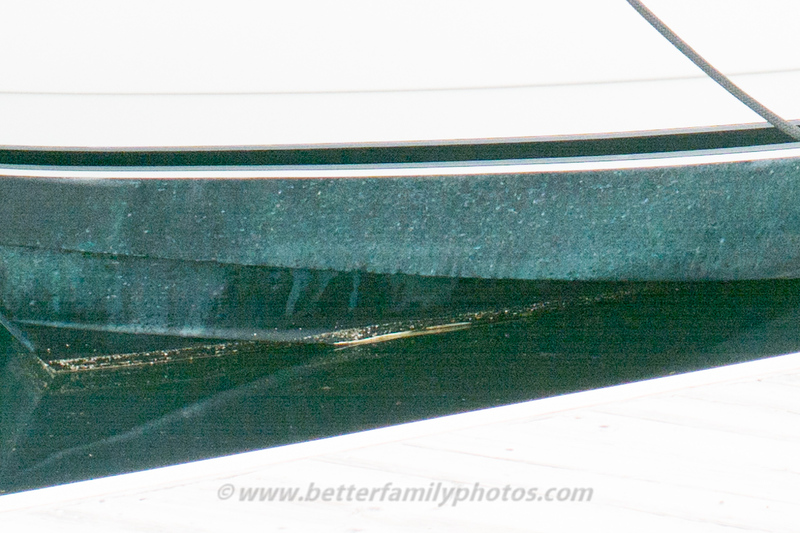 Oh dear, the moire in the boat shot really spoils what otherwise looks like an excellent camera. As I shoot a lot of weddings that might be a serious problem! Looks like we can't have a high definition cake and eat it. Shall keep an eye on the review though, looks very thorough. Hugo, did you mean the horizontal banding in over-exposed shots? I didn't notice any significant moire; or probably missed the shot you were referring to. Mic, thanks for the 'real life' review as opposed to others who've written up their opinions under the name of review, without actually having a camera in their hands. I am impressed with what you've covered so far. I have the same question as others have expressed... comparison with D600. I wanted to buy a D600 but all the online feedback about dust on sensor stopped me. I read somewhere that the D7100 doesn't have the drive motor that gives higher fps in full-frame models. Does that mean this one won't generate debris from the shutter/mirror mechanism? I guess we need to wait and see. I would also like to see low-light performance and indoor shots. Your location seems perrfect for in-camera HDR tests, especially during sunrise/sunset. Otherwise, what I see here pushes me in favor of D7100 instead of D600 (could spend the difference on one or two primes). About the D600 yes it seems a lot of people are considering the D7100 and D600. I will post side-by-side comparisons asap. If at all possible, tonight. Re dust issue, I have over 900 shots so far-- I will see if there is an unusual amount of dust and post the results. HDR - I don't think it is very useful because it's only JPEG. I think a raw file can cover a wider range, plus have greater flexibility. But I'll take an HDR shot and post. Low light - so far my initial impression is that the D600 is significantly better, but I will find out for sure when I do the side-by-side. I meant the moire in the head-on shot of the boat taken with the sigma 35mm @ f4. Go to flickr and download it and you'll see what I mean. On the deck where there is a fine tread grip you can see where the sensor can't delineate the pattern and it has turned into a grid, completely destroying the illusion that you are looking at a 3D image. This is bad because Nikon claim it won't be a problem but there it is. It seems we are going to have to be careful with this one but as a wedding photographer it will be a non-starter, just one ruined shot on a bride's veil and I'd be in trouble! Hi Hugo. I took a shot with the D600 of the same scene but haven't had time to look at it yet. I suspect that either: a) the D600 will show the same moire pattern; or b) the D600 with the lens I used (Tamron 28-75) is not sharp enough to show the moire. I will look for my wife's wedding gown (stashed away somewhere) and try to take shots to see if moire will appear. Moire is a funny old thing, it can happen with any camera but the lack of an OLPF seems to be asking for it! The pics on Flickr taken with the D7100 are superb though, really colourful. It's just the wedding veil scenario I'm worried about otherwise I would have one of these already! Appreciate your efforts in this review and shall keep reading. The shallow DOF on full frames is one feature that still tilts me towards the D600. I have seen your flickr pics with an 85 1.8G mounted on the D600 and I can assure you that the 85 on the D7100 will never give the same creamy result. Ya, we do lose on some of the excellent features on the D7100, but the twice large sensor on the D600 does justify the extra money paid. 1. True. However, with FX you have the option of a shallower DOF. 2. True, however, due to the much smaller pixel size of the D7100 it demands higher resolution. So I would say it is a tie. Nice review, Mic. It is good to know that Nikon brings back instant 100% zoom on D7100. Thank you for detailed info. I rented the D600 and had decided to upgrade then the D7100 was released. The speed of autofocus, noise & sharpness under low light conditions are my biggest interest so I'll be following along. Thanks! I will do a comparison on those issues. Thanks for the review. When you do the next comparison test between D7100 and D600, could you also test the D7100 vs D600's DX Mode, using the same lense? I am a D7000 owner, and also considering upgrading to a D7100, or one step up to D600. I hope to keep the DX lenses, and would like to know the high ISO performance and IQ when a DX lense mounted on D7100 vs D600's DX Mode. I think a lots of DX owners might be interested in the result as well. Given that the D600 DX is just about the same as the D90, I suspect the d7100 will be much better than the DX-cropped D600. Great that's exactly what I am looking for. If D600 DX-Cropped is only equal to D90, D7000/D7100 should be better, given the fact that D7000 has a stop better ISO performance than D90. I need to borrow or rent a D600 to find out. Mic: Do you think the 7100 is fast enough to shoot sports weddings in low lights? I ordered the d600 and it will be here Wednesday, but I am sure I will keep it as I heard some complain about its sport shooting performance. Hi Dina. I don't shoot sports (yet) so I don't know for sure. I think the D7100's advantage over the D600 for sports will be its AF (covers a larger portion of the screen) and the longer effective focal length (either in normal DX mode or in 1.3x crop mode). The D600's strength will be in low light conditions. With sports, I try to shoot at 1/500 shutter speed, which could send you to high ISOs very easily. The D600's high ISO is better than the D7100's. By how much I don't know yet exactly -- that is what I am working on testing. Thanks for an excellent review. I've had my D7100 for a week now, buying a used Nikor 18-200 superzoom instead of the supplied 18-100 kit lens. It was a substantial upgrade for me, moving from a Leica V-Lux 2 which although having an excellent lens, displayed a lot of image noise needing much time with P/shop to TRY and minimise it. I'm no expert by any means, having had modest cameras mainly doing portrait and nature shots but so far I'm very impressed with the 7100. The image quality is excellent and more than adequate for my needs. Weather has been dull and wet since acquisition so trial shooting outside has been in poor light. Yet the 7100 has coped well at high ISOs. I have seen slight colour fringing on bare tree branches against a grey sky but nothing of real concern. I agree about holding the 7100 (especially with the weighty lens); it feels safe enough when gripped but I don't find it easy to move my fingers around the controls. Only gripe was that the .NEF files would not open in P/Shop RAW (AR), necessitating the .TIFF > P/shop route. However I’ve just seen the hack http://forums.dpreview.com/forums/thread/3447412 and this fools AR into opening the 7100 NEFs. But having tried it, I suspect it’s ineffective at really reading the 7100’s raw image data. Anyway the .NEF files are so good that any AR processing isn’t anything like as necessary as it's been with my lesser cameras. Looking forward to your further review(s). Hi Ian! Congratulations on getting the D7100! I suspect the D5200 and D7100 sensors are the same (other than the absence of the low pass filter), so I don't think the final raw profile for the D7100 will produce very different results for the D7100. But I could be wrong... Hopefully we'll find out soon. I am user of Fuji S5 pro. Do you think 7100 dynamic range can match the S5 400% mode for outdoor shooting. I wish you would include some sunset scenes with shadow areas to assess the DR in real world. Please stay tuned for Part 2 of the review! Mic, this is a most excellent review. I was astonished at the excellence of the image at iso 25600. If you get a chance, I would like to know how well it works on manual focus with Nikkor Manual Focus lenses. I have had tried my large prime Nikkors on a D60 and determining accurate focus was extremely difficult if not impossible. If the D7100 can work well with Manual Prime Nikkors in low-light for rock concerts like Los Lonely Boys concerts, I will buy it. I primarily use the 85mm f/2, 135mm f2 and 180mm f/2.8. What an excellent and useful review; I am bookmarking you! I'll try out manual focus (I have a 50-135 3.5 AIS) and will let you know! I've got this article bookmarked for when I actually get my hands on my D7100. Great information presented in a really useful way. Thanks for taking the time. Looking forward to more of your observations on this fascinating new camera. Thanks again! Hi Mic Ty, thank you very much for this perfect review, and for all your amazing work. I just discovered your web site... What a huge load of information!!! Thx for improving my photographs! I don't know if I missed it or if dit is not online yet, but I can't find the part 2 of the review. I am still hesitating whether to pass to the FX (with D600 or used D700) or to stay in DX (with this D7100), and I would be interested in seeing comparisons between D600 and D7100 with the same lenses, to compare the blur of the background, for example on flowers close pictures. Are you planning to perform this kind of tests? Sorry for my frenchie english, and thank you again for your work. Hi Quentin thanks for the feedback! I have not done part 2 yet because i returned the d7100 after i found banding. After i returned it i found out that the banding could be resolved through software such as rawtherapee. But in the meantime i already got a d7000 as a replacement so now i am trying to evaluate the two (but not side-by-side). Thanks for supporting the blog! I will be posting again after i get well (got sick over the weekend). I got a D7100 a couple of weeks ago with a bundled 18-200mm lens. The camera is awesome. I feel that the performance of this zoom lens is sub par for this camera. It is way too heavy and pricey for its performance. Two of my friends use D7000 with 18-105mm lens. That lens doesn't produces better results on D7100 either. I say that because I was expecting better results from D7100 due to increased resolution and at the same time increasing overall sensor performance. I think the older kit zooms are limiting its performance. Or, am I readin too many reviews online? I don't have a choice to return this lens or exchange for another (this store doesn't offer anything besides these bundles). I am planning to return the entire kit. That brings me to my questions. First, which lenses did you find to perform well on D7100? I am planning to get a body with 35mm f/1.8 DX and a 50mm f/1.4G FX. Even a bundled 70-300mm VR at $200 discount may be better than the 18-200, both in its reach and performance between 70-200mm range. Second, how is your experience with D7000 so far? That is another option I am looking at, especially with current $300 discount. I don't need more than the 16MP of D7000. I am curious to know if you miss any other features of D7100 after switching. About the D7000, I'm still evaluating. I will do a post about the D7000 vs D7100. Thanks for supporting the blog with your readership! Thank you; that is very helpful. Please help. Trying to take indoor family photos in automatic and with body flash. No one is in focus. Tried automatic and scene/portrait. Can you help? I can get amazing outdoor photos but indoor - not unless its just one kid. Yes, they do sit still. haha! Hi. Without seeing the shots it's hard to tell exactly what is going on. Could be the shutter is too slow, or flash blur, or you're focusing on the wrong target, or any number of other factors. You can email me sample shots at info@betterfamilyphotos DOT com and I'll do my best to help. Thank you so much for the offer, but I was able to sharpen the image with a photo program and everything looks great. I obviously have no idea what I am doing, but it worked so I am thrilled. haha!